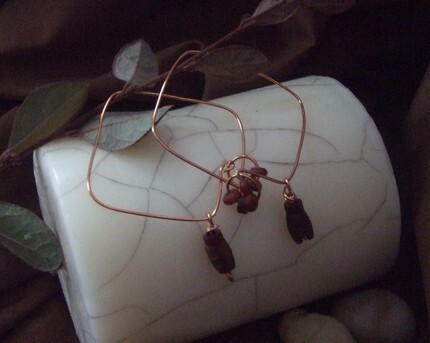 These copper tone earrings remind me of the jungle. Wooden beads flow off the end of the back of the earring to show off its square shape, making the perfect casual wear accessory. The earth tone colors are reminiscent of the wild and just bring a sense of uniqueness. Sold exclusively on ThePinkLocket.com. Shop PINK today!